MINNEAPOLIS (Aug. 31, 2018) – Fishing League Worldwide (FLW), the world’s largest tournament-fishing organization, announced today a new location for the 2019 Forrest Wood Cup along with the full rules and entry dates for the 2019 FLW Tour. Originally scheduled to return to Lake Ouachita in Hot Springs, Arkansas, the 2019 Forrest Wood Cup will remain in Hot Springs but will now take place on Lake Hamilton. The season will consist of seven-regular season events and culminate with the 2019 Forrest Wood Cup, the world championship of professional bass fishing. After consulting with tournament hosts at Visit Hot Springs and the Arkansas Department of Parks and Tourism, FLW officials made the decision to move the event to Lake Hamilton due to the superior cellular coverage and expected improved fishing conditions on the Ouachita River impoundment. All other tournament details will remain the same. The FLW Expo, which features hundreds of exhibitors and activities, will be held at the Hot Springs Convention Center and weigh-ins will again be held at Bank OZK Arena. Among the rule changes for the 2019 FLW Tour is the implementation of the new VIP Marshal program, which will replace the co-angler program, as well as the transition from a priority entry system to a qualifying system with a 150-boat field starting with the 2020 season. Pro anglers will still compete for up to $125,000 in each tournament including Ranger Cup contingency bonuses. Paybacks include $10,000 through 50th place and $5,500 through 60th place. Entry fees will increase to $35,000 total, and pros must commit to fish all seven regular-season events. 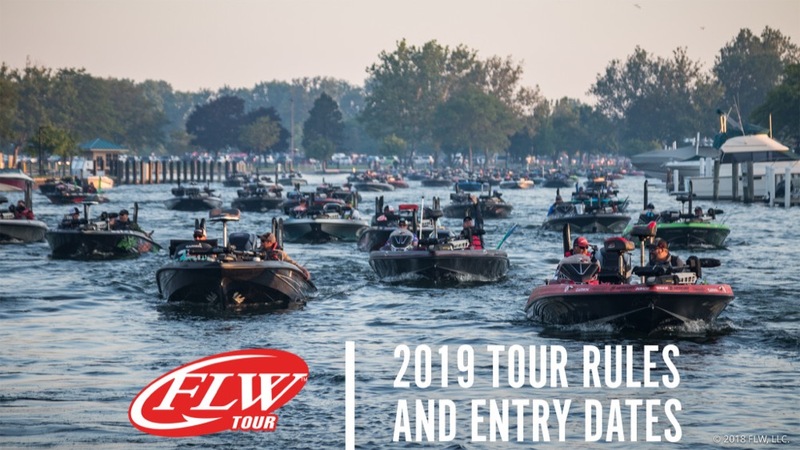 The top 40 pros from the 2019 FLW Tour qualify for the 2019 Forrest Wood Cup, which will consist of 52 professional anglers. In addition to the top 40 pros from the Tour, qualifiers will also include the highest finishing pro from each of five U.S. divisions and the International division at the 2018 Costa FLW Series Championship, the 2019 BFL All-American boater champion, the 2019 TBF boater champion, the 2019 FLW College Fishing champions, the 2018 Forrest Wood Cup champion and the 2018 FLW Tour Angler of the Year. Entry will open on Wednesday, Sept. 5, for the top 100 pros and the top 15 co-anglers from the 2018 FLW Tour, the top 15 pros and co-anglers from each division of the 2018 FLW Series, the FLW Series International Division representative from the 2018 FLW Cup, the 2018 TBF National Champion from the boater division, the boater champion from the 2018 BFL All-American and both members of the winning team from the 2018 FLW College Fishing National Championship. These anglers must pay their deposit of $8,750 by October 15, 2018, in order to secure their priority entry position. For pros who fished the full 2018 FLW Tour, deposits will be accepted beginning at 8 a.m. CDT, Oct. 16, 2018. For Ranger boat owners and sponsor entries, deposits will be accepted beginning at 8 a.m. CDT, Oct. 17, 2018. For pros who fished a full division of the 2018 FLW Series, deposits will be accepted beginning at 8 a.m. CDT Oct. 18, 2018. For TBF members, deposits will be accepted beginning at 8 a.m. CDT, Oct. 19, 2018. For all other entries, deposits will be accepted beginning at 8 a.m. CDT, Oct. 22, 2018. Entry priority will be assigned by the date and time of entry and will be final once full payment of the 2019 deposit is received. Qualified anglers can register by calling 270.252.1000 or online at FLWFishing.com. Complete rules for the 2019 FLW Tour along with the rules for 2020 FLW Tour qualification can be found at FLWFishing.com. 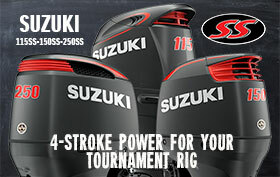 For complete details and updated information, visit FLWFishing.com. For regular updates, photos, tournament news and more, follow the sport’s top anglers on the FLW Tour on FLW’s social media outlets at Facebook, Twitter, Instagram, YouTube and Snapchat.